Bologna is easy to reach. There are various airlines that fly directly to Bologna as well as excellent train connections from the major cities in Italy. 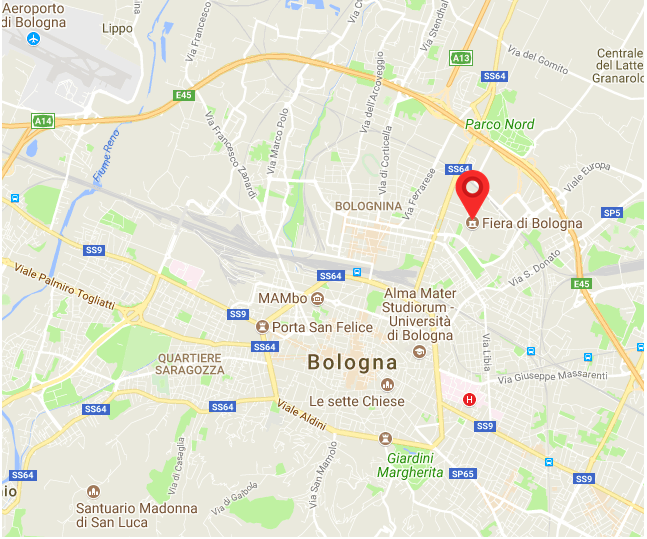 In case your preferred airline offers no direct flights to Bologna we recommend to book a flight to Milan and then take the direct train to Bologna. The high speed connection is fast and the tickets well-priced. The venue of the PIMRC’18 is the Palazzo della Cultura e dei Congressi in Bologna, the city’s largest convention center and a modular space that is vast in size and world-class in scope. Set in one of Europe’s most prominent trade fair districts, the Polo Congressuale is an international-level venue consisting of three buildings with a total seating capacity of 11,000: Palazzo della Cultura e dei Congressi, Sala Maggiore and Hall 19-20. The meticulously refurbished spaces are highly adaptable and equipped with the latest technologies, making them the ideal venue for hosting events of any kind and size in a stylish modern setting.